Thank you for exhibiting at NRF Protect 2018! * Please note: Any exhibitor with an outstanding balance on or after Sunday, June 10, will not receive their delivered freight until the balance is taken care of with NRF. 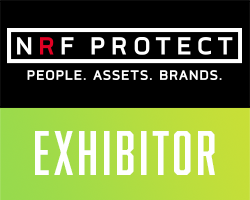 NRF Protect 2018 Logo - Contact Dana Dressel at dresseld@nrf.com for a high-res version. Thank you for exhibiting at NRF 2018: Retail's Big Show! Invoice - View or pay your current invoice - Invoices not paid in full by January 5th, 2018, will risk having their freight held at the dock. Exhibitor COI Form REQUIRED FOR ALL EXHIBITORS!